The SIFROBOT telepresence robot, is a very helpful (and friendly) telepresence robot. The SIFROBOT-1.0 provides telepresence, obstacle avoidance, intelligent recharging and many other features. Speech recognition? Yes! In fact, the SIFROBOT can even interact with your speech. Have a question? SIFROBOT will likely have the answer; all you need to do is to ask! You can communicate with SIFROBOT-1.0 smoothly through its powerful AI and language processing. SIFROBOT-1.0 can recognize all family members and knows each one’s preferences. SIFROBOT-1.0’s capabilities can be empowered and extended by the powerful cloud platform. SIFROBOT-1.0 will provide with professional and efficient customization in order to diversified demand for you. SIFROBOT-1.0 Shopping Guide/Tourist Guide . Also helps you keep your checks balanced. SIFROBOT can pick up demands in any direction (360degrees) even in a noisy environment. 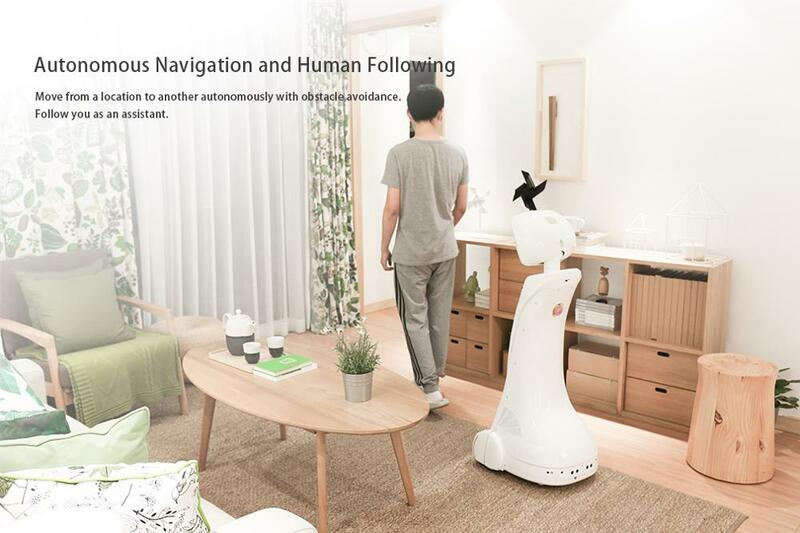 SIFROBOT-1.0 knows well at indoors positioning, autonomous map building, and obstacle avoidance and intelligent recharge. Teleprence SIFROBOT-1.0 can recognize all family members and knows each one’s preferences. SIFROBOT-1.0 can easily change the way communication. User can immediately be anywhere in the world with complete freedom of movement.